1 in. 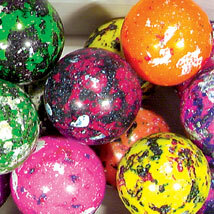 Splat Gumballs vend for 25 cents and yield a gross profit of $172.51 per carton. 18 pound carton bulk packed. 850 gumballs per carton.